Yesterday, Rihanna debuted FENTY X PUMA’s Spring/Summer 2017 collection at a highly anticipated show at the legendary Paris Fashion Week. 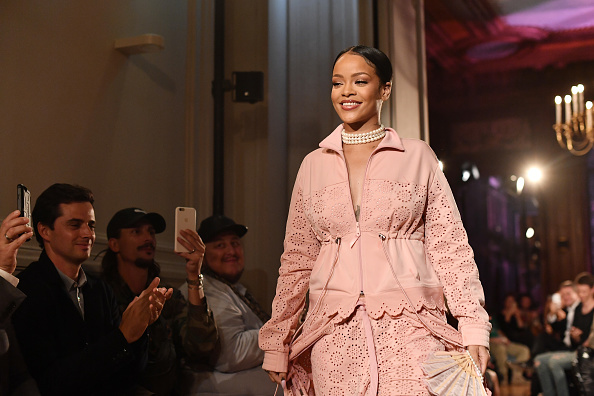 RiRi’s outfit at the runway show, evening wear meets athleisure ( or Marie Antoinette at the gym), demonstrated that the songstress’s chic style knows no creative bounds. In fact, Marie Antoinette at the gym was Rihanna’s inspiration for the entire collection. And as noted by Mic, the looks donned by Fenty’s male models proves that Rihanna has no time for oppressive gender norms in her fashion. Pale pink satin can be feminine or masculine. You can be a muscular dude and rock a pearl choker simultaneously. Lovely in lavender and statement necklaces. 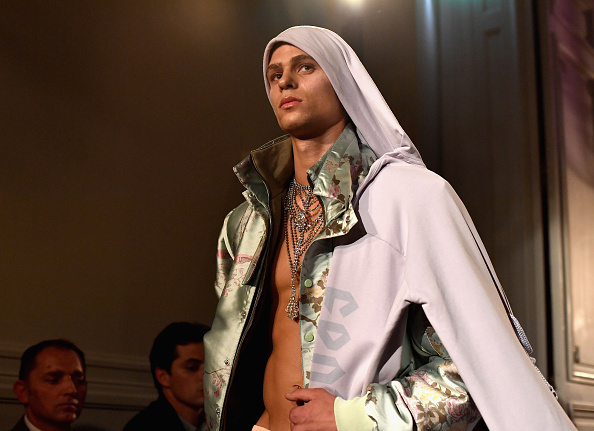 The men and women modeling Fenty’s looks all wore some iteration of satin, pearls, and flowers — creating a totally fluid and beautiful interpretation of gender norms in fashion. While androgynous beauty is becoming more visible in the mainstream, as Mic explains, our culture does not allow men to embrace androgynous fashion as easily (think of the comments Jayden Smith has to hear). We were already obsessed with Rihanna — now we have another reason to love the workings of her fabulous mind.